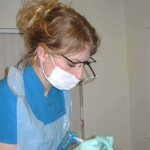 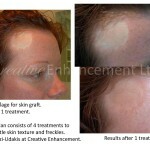 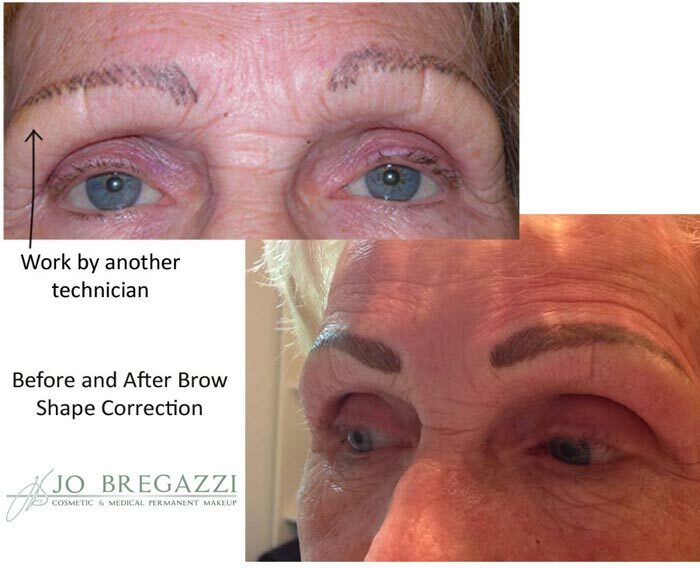 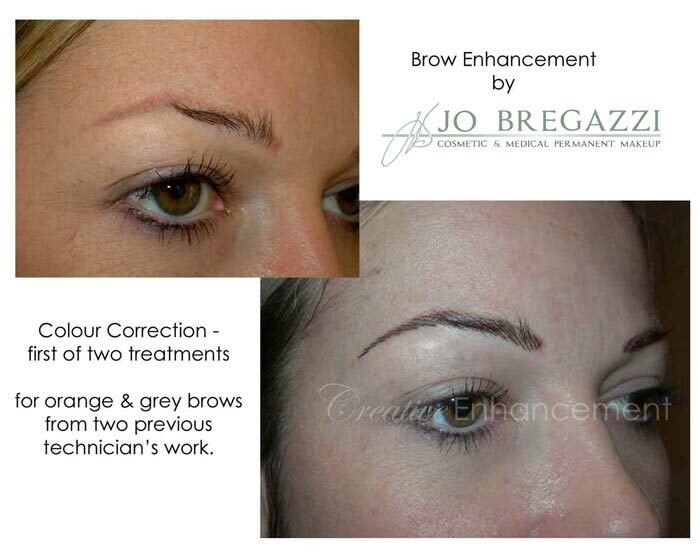 Treatments consist of an initial application and one retouch application 4-6 weeks later. 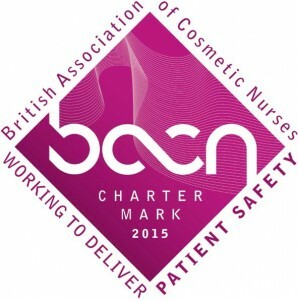 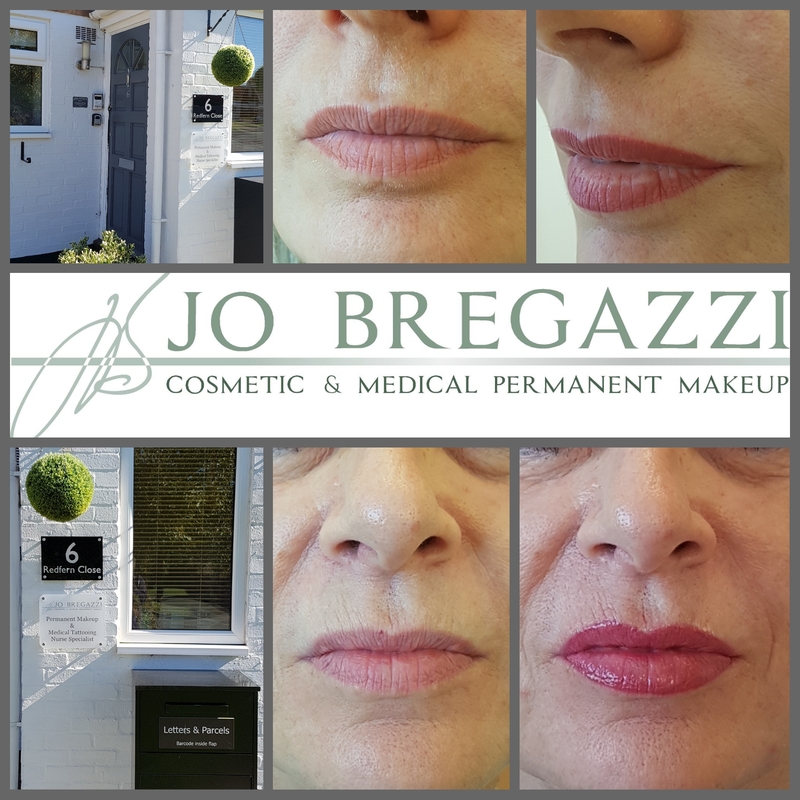 The following treatments are also available to correct other practitioners’ work and also for transgender clients wishing to feminise their features before considering full surgery. 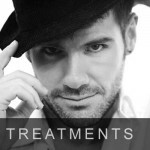 Prices are quoted below but please see our price list for further information or book online today. 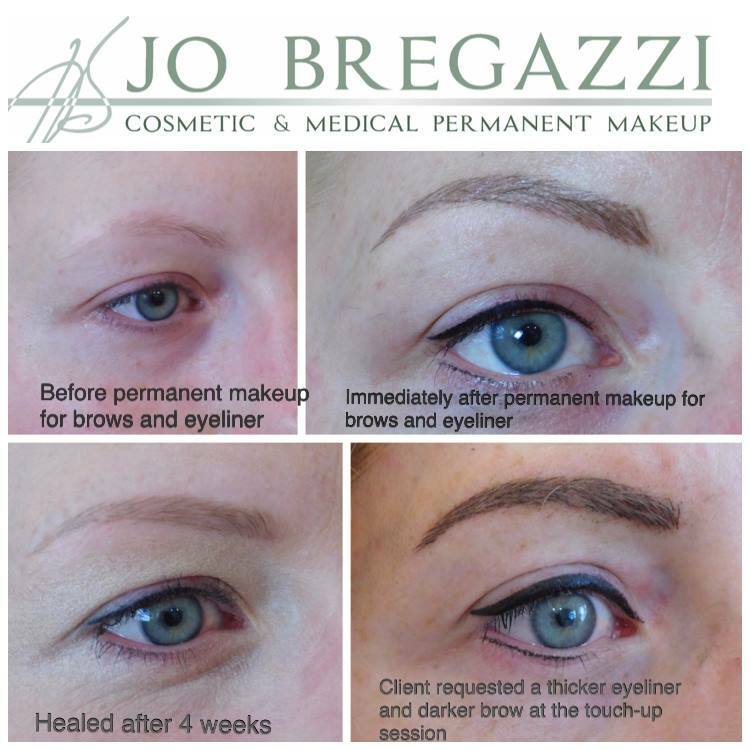 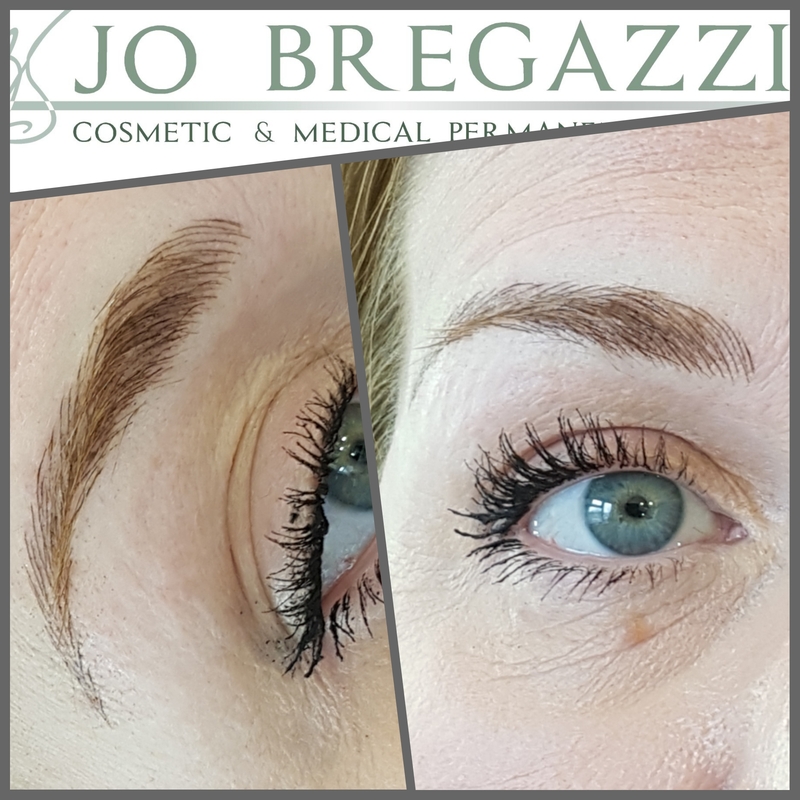 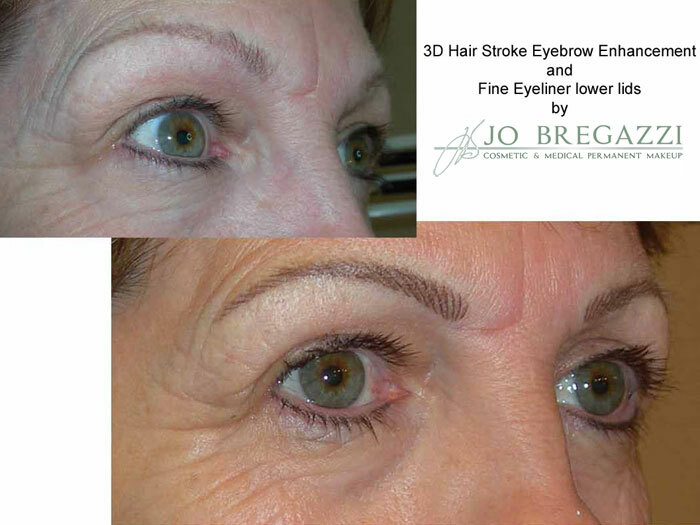 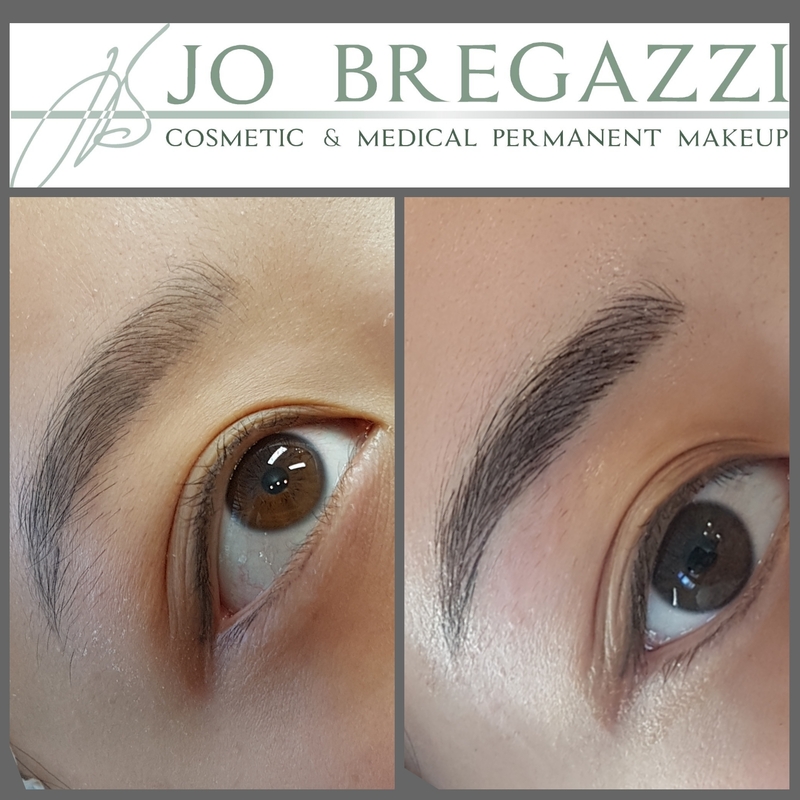 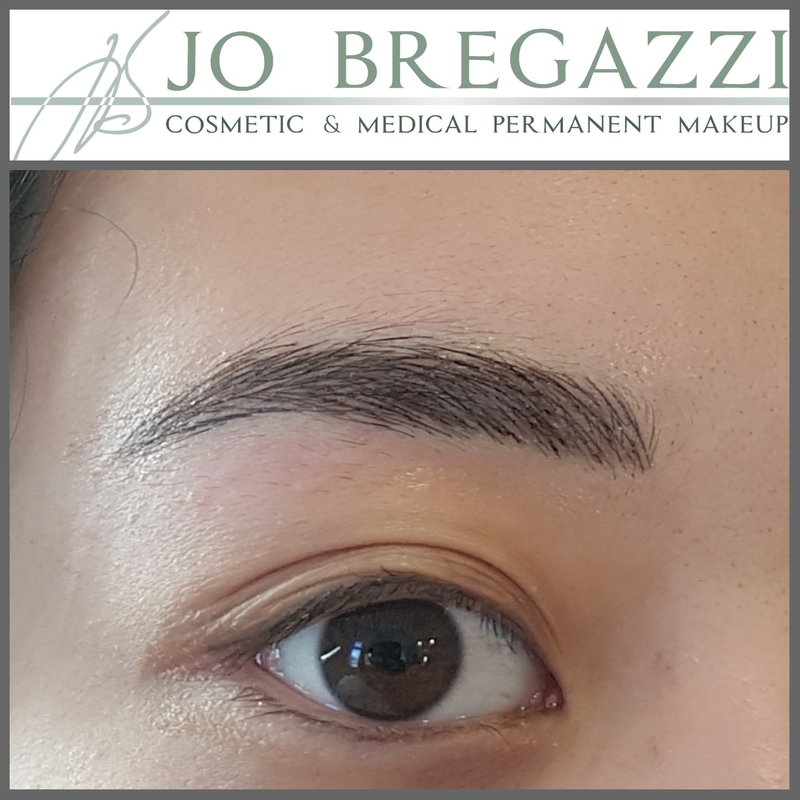 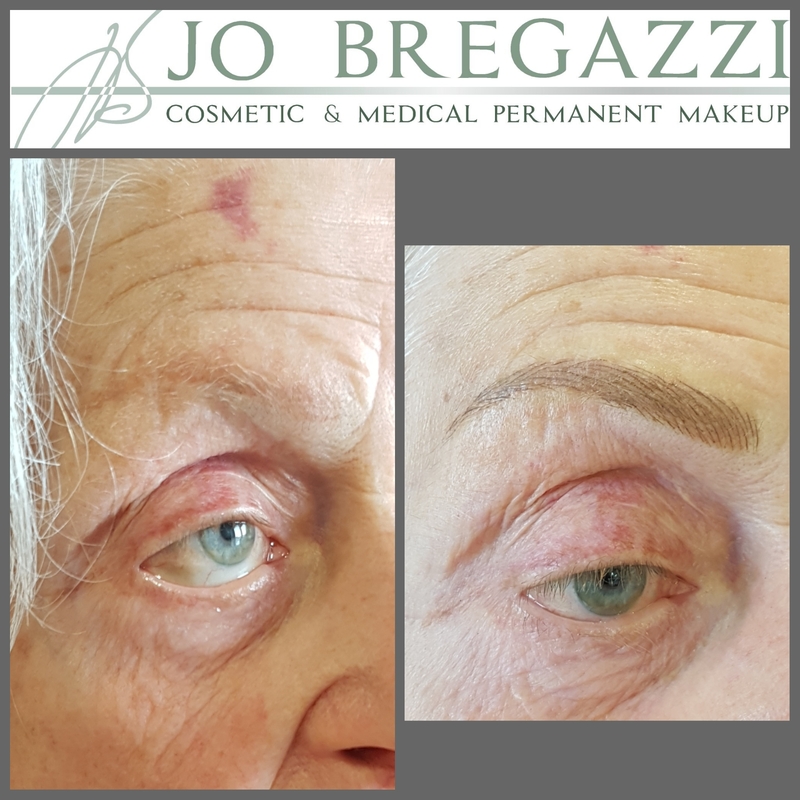 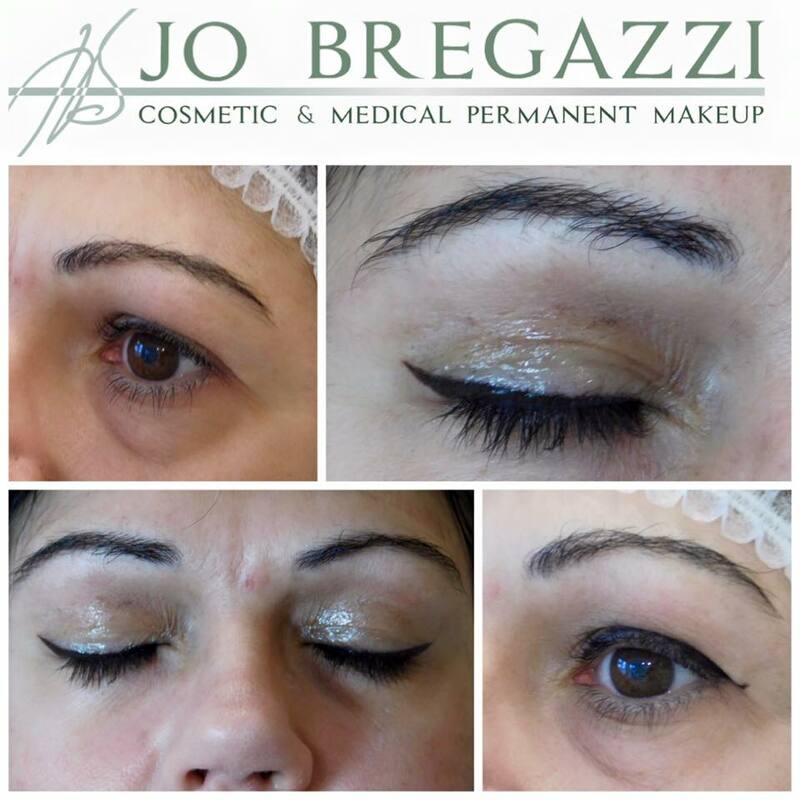 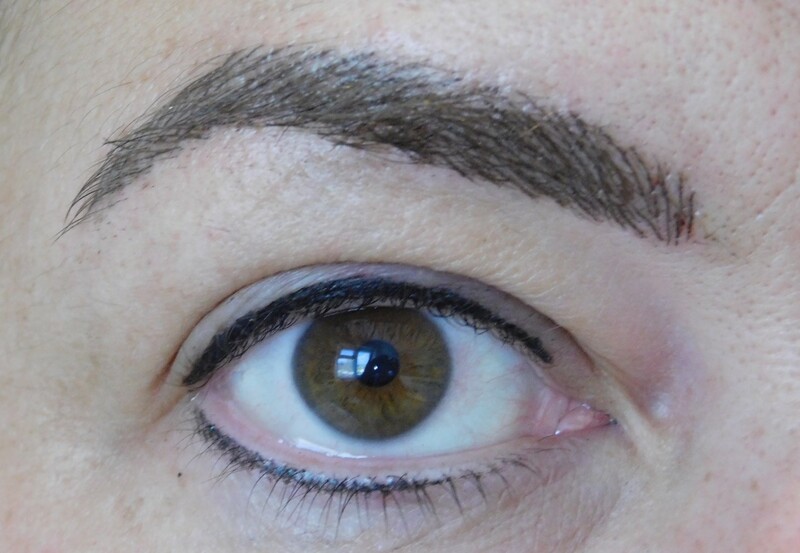 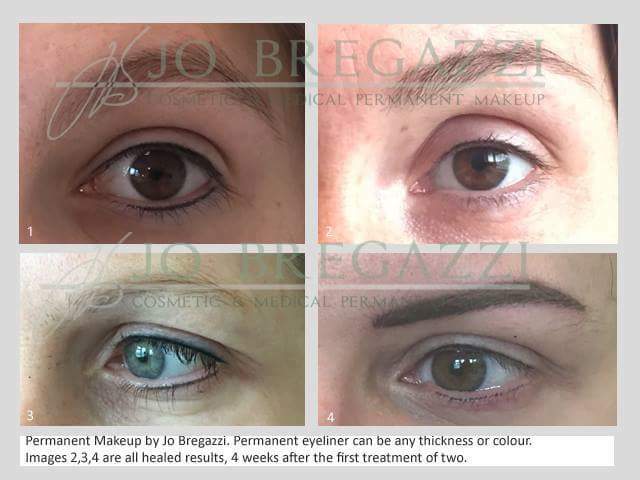 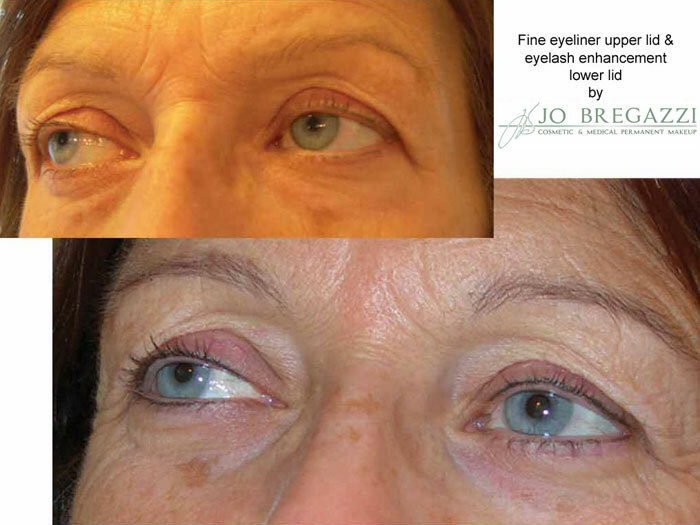 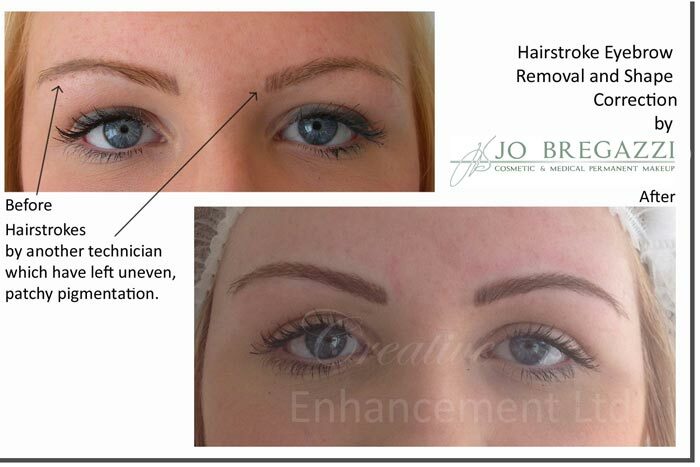 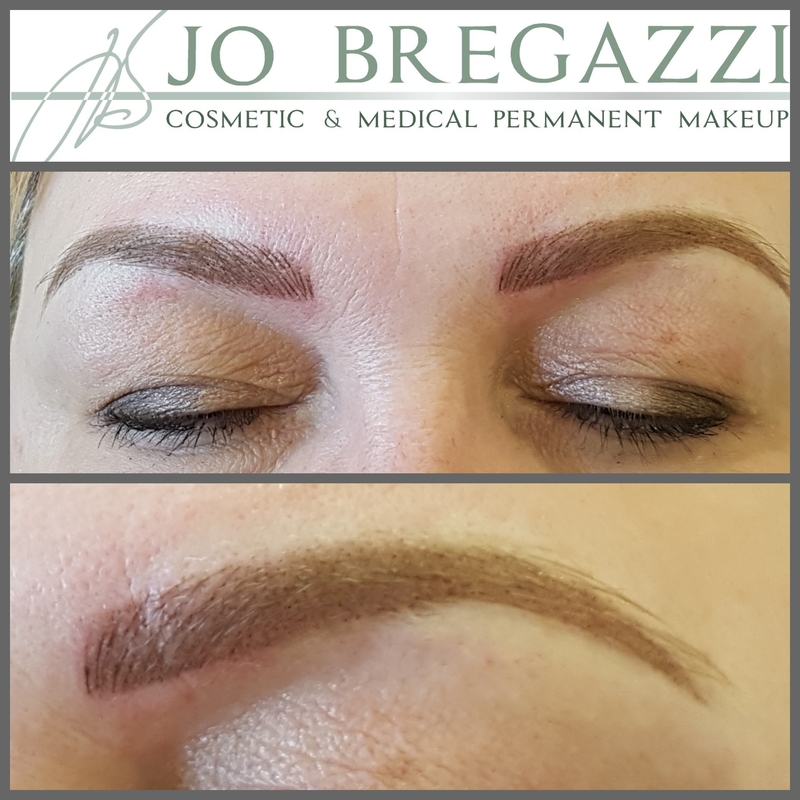 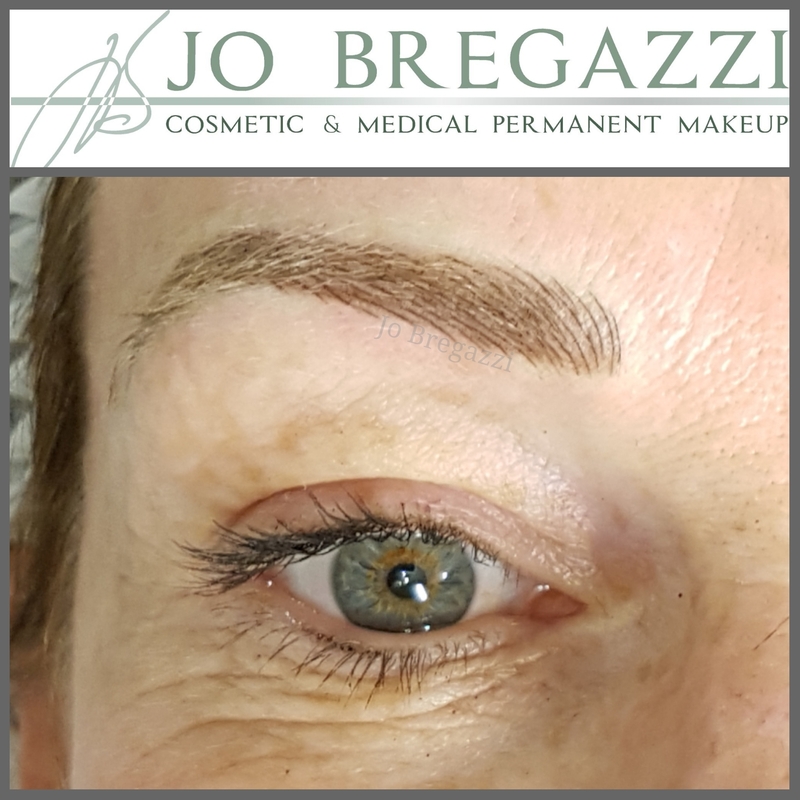 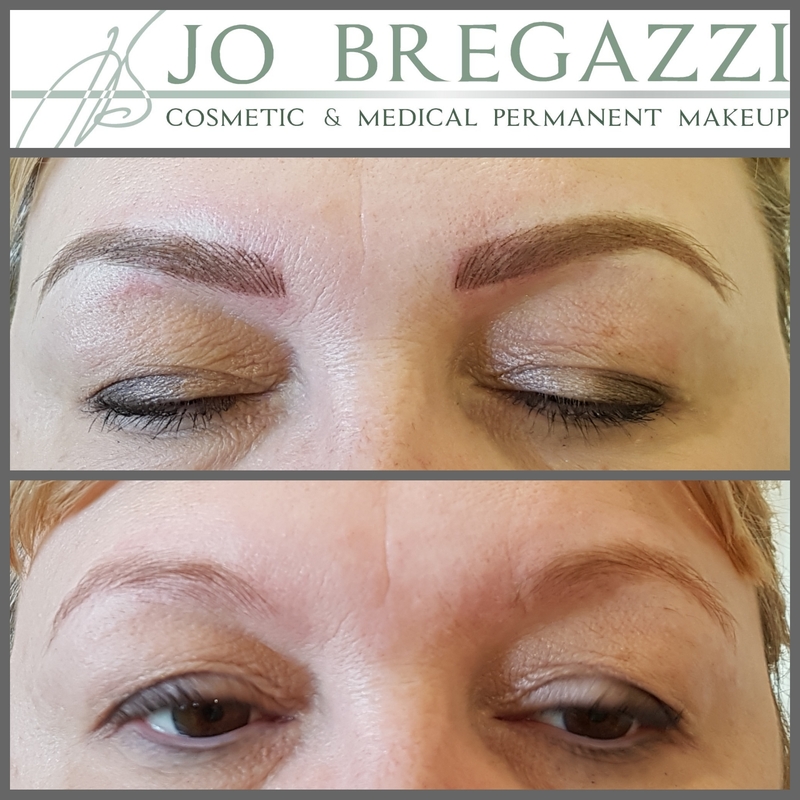 Jo uses either a microblade technique to create fine eyebrow hairstrokes or a hybrid technique combining a digital machine and needle for shading and applying different shades of colour, with a manual microblade which adds subtle, fine hair strokes that simulate the effect of real, 3D textured brows. 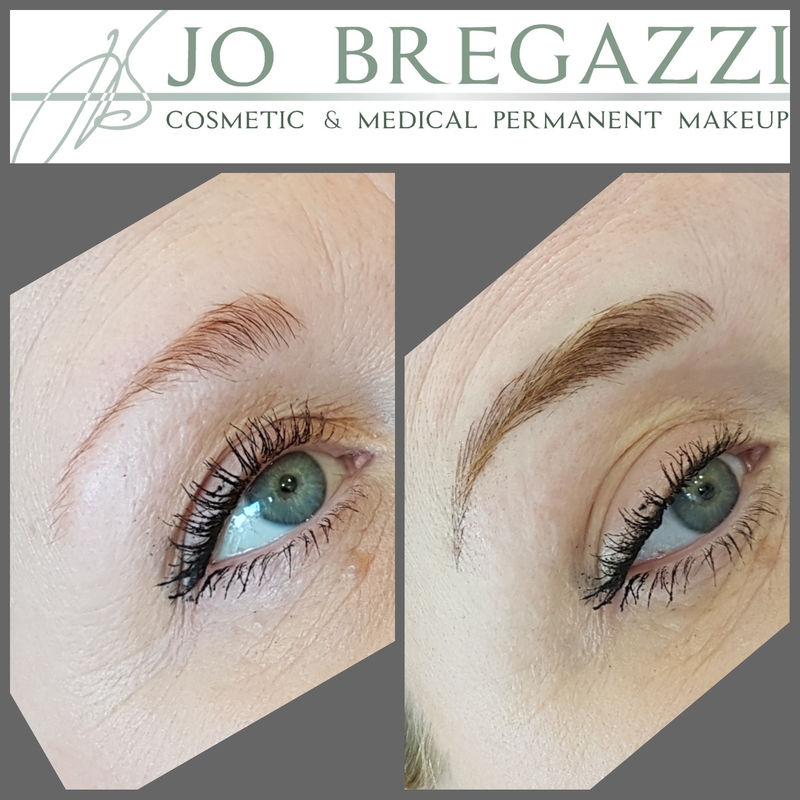 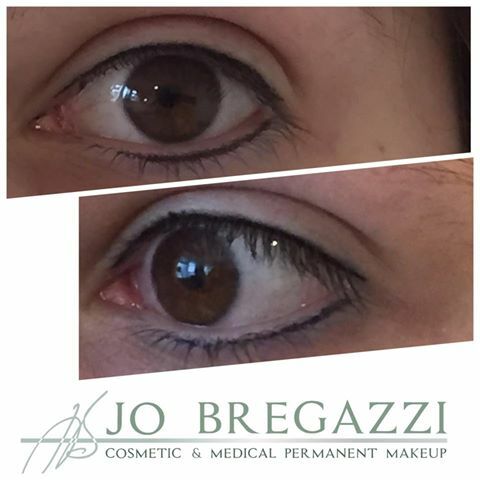 Jo will advise on colour and shape to best suit your natural features and brow structure and will work with you using eyebrow pencil until you are happy with your new look. 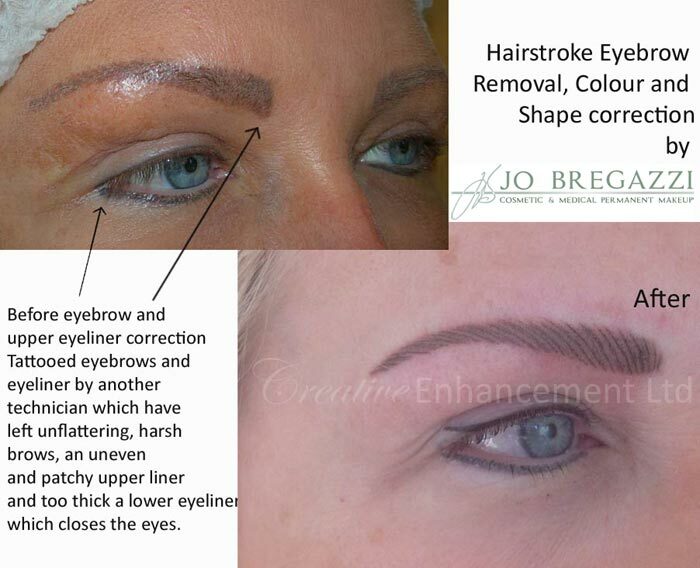 Jo will not use stencils as everyone’s face shape requires an individual approach to design. 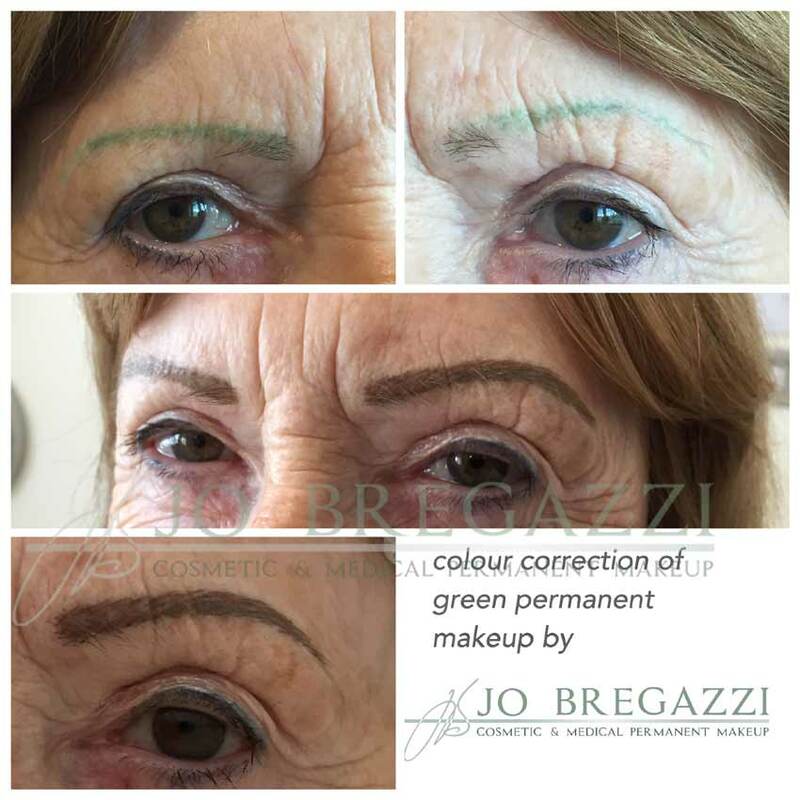 Jo will take careful measurements and bone structure reference points to achieve the best shaped brow for your face shape. 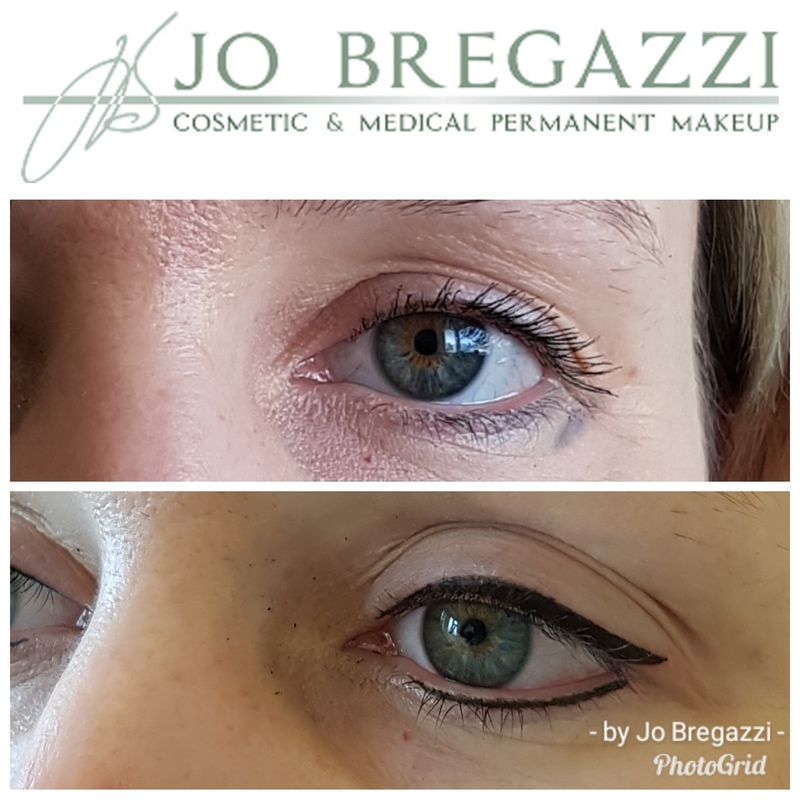 The colour pigments are personally mixed to suit your natural colouring and you can be involved in this process as much or as little as you want to be. 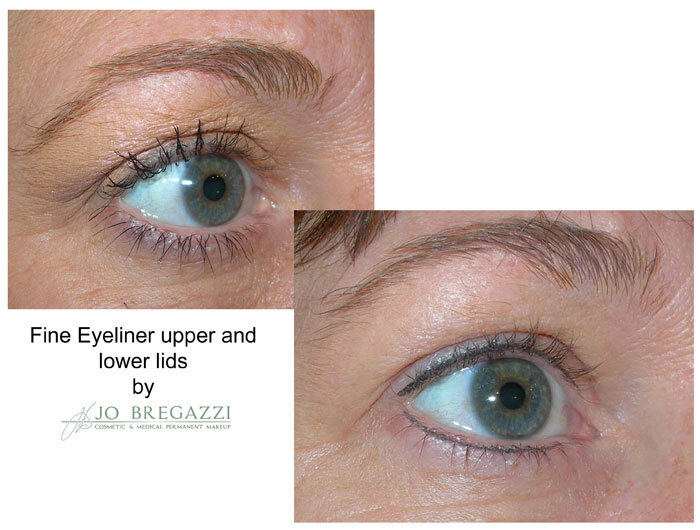 Eyeliner gives your eyes beautiful definition, making your lashes look permanently thicker for years. 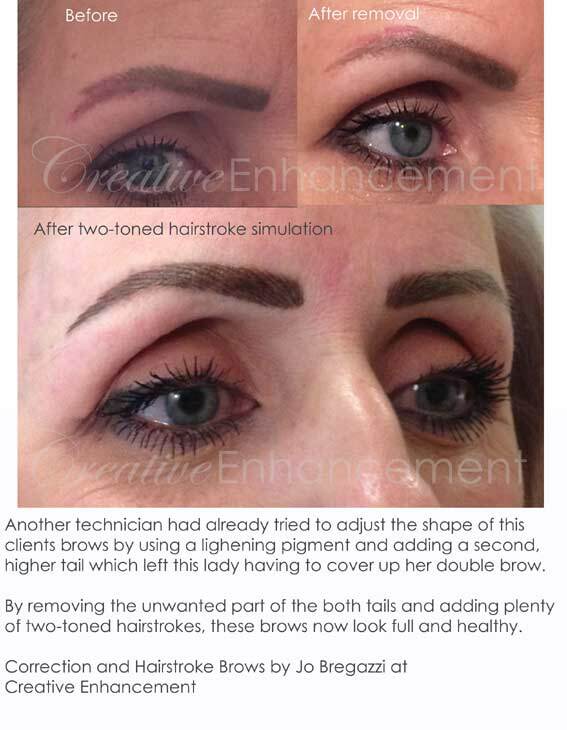 There are different thicknesses of line available depending on the look you wish to achieve. 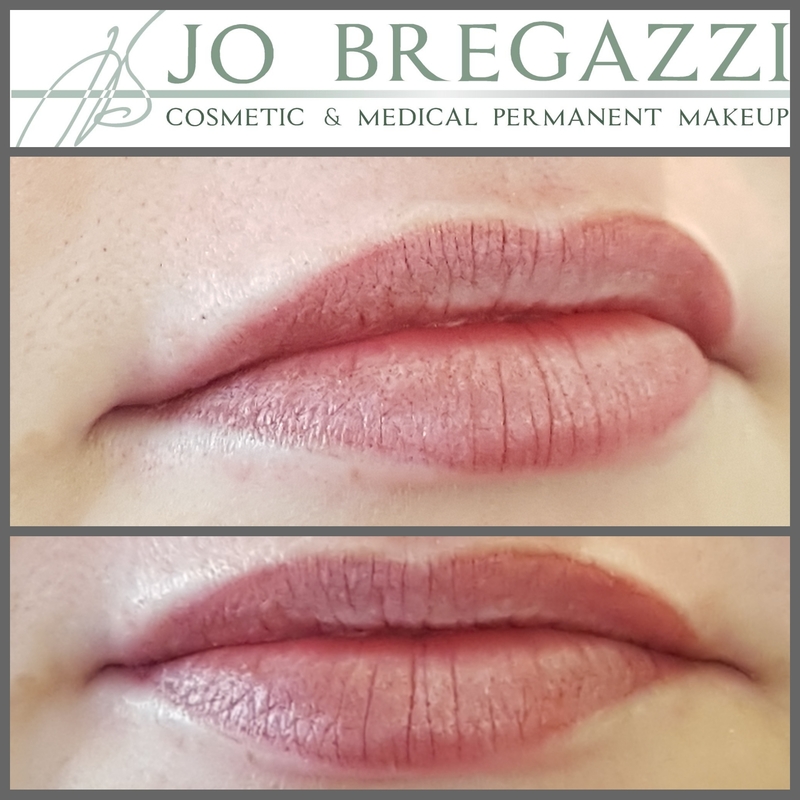 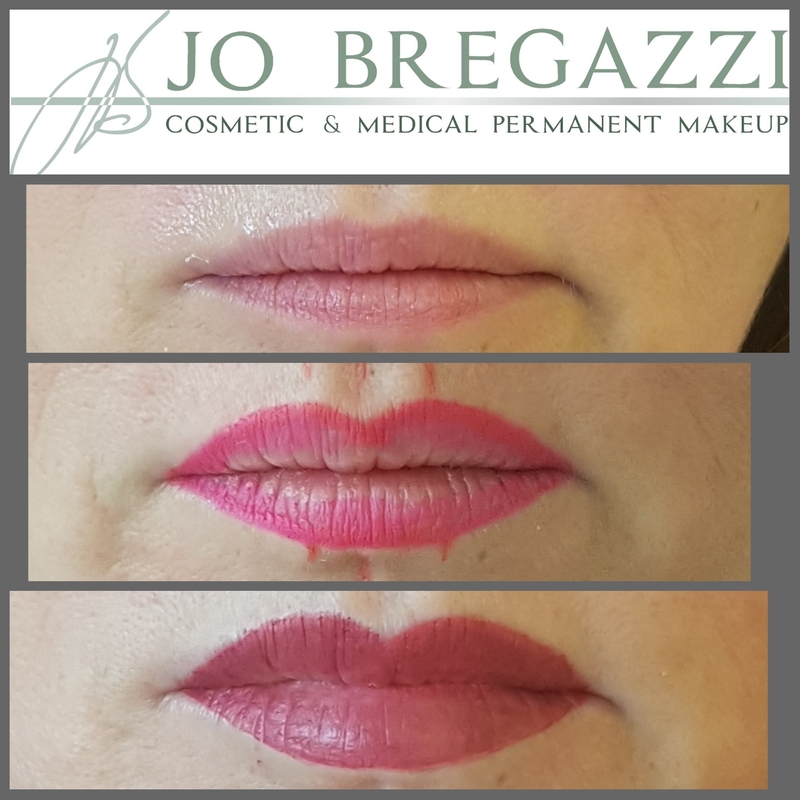 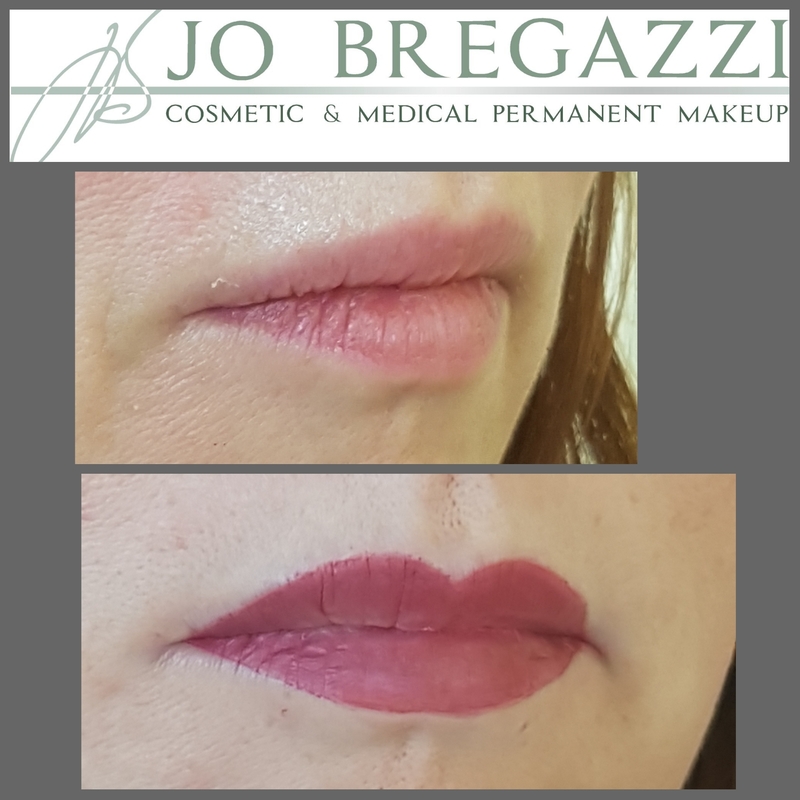 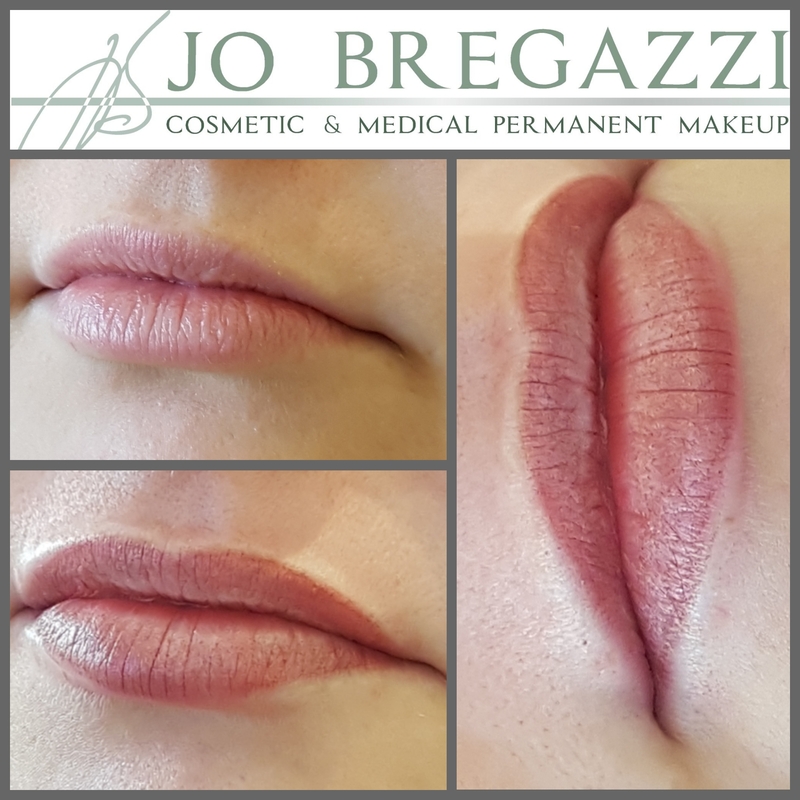 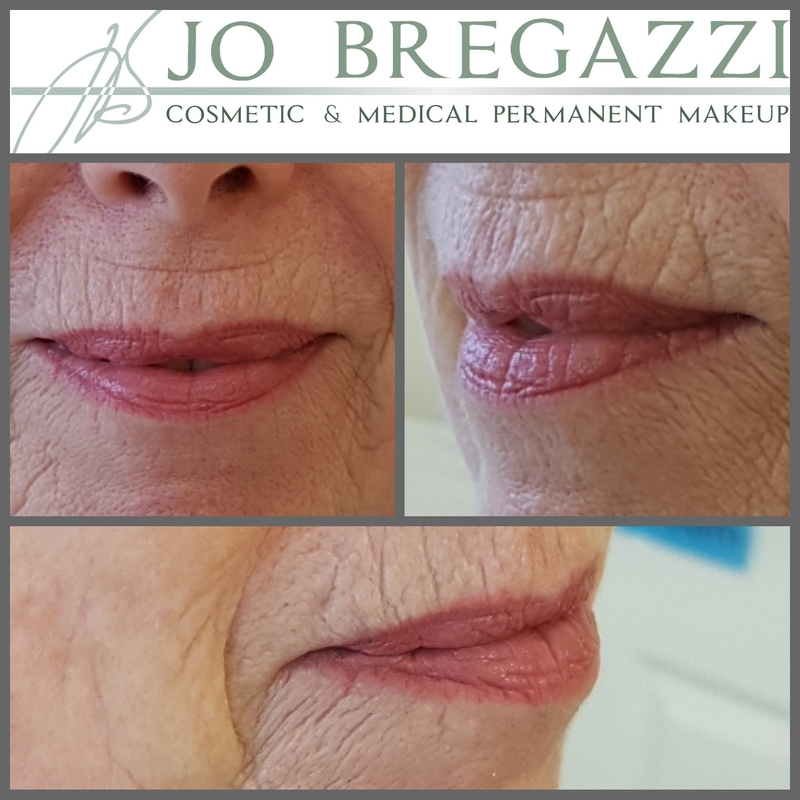 We offer three types of permanent makeup for lips that will give you a subtle blush of natural lip colour and beautiful lip contour without the need for constant reapplication of lipstick. 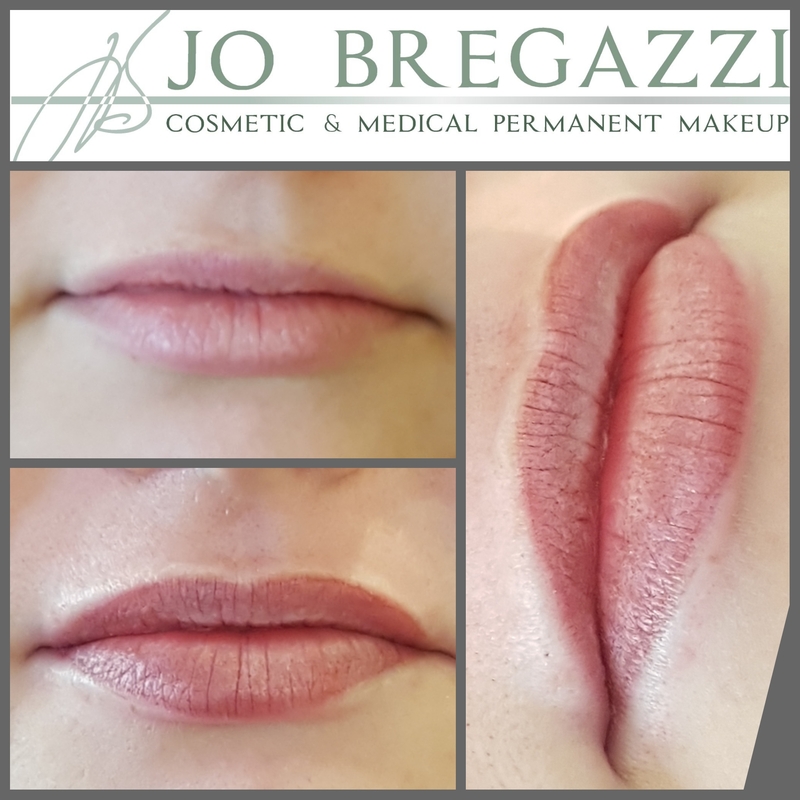 All you’ll need is a clear gloss or balm to keep your lips soft and supple during the day.